Phil Daniels, Donald Sumpter and Emma Rigby will join Endeavour for the upcoming fifth series. 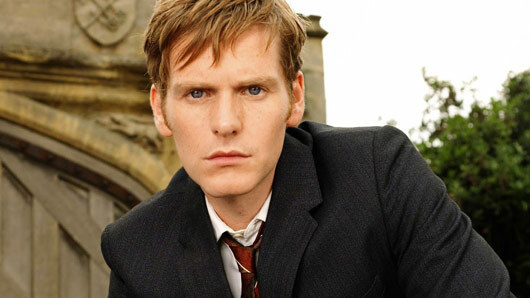 Scheduled to air next month on ITV, the new series will take place as Endeavour Morse (Shaun Evans) finally passes his Sergeant exams. Meanwhile, Joan Thursday (Sara Vickers) is back in Oxford but their relationship remains murky after Endeavour’s unexpected proposal. It takes place in 1968. ITV confirmed today that joining Evans and Vickers in six new feature-length films will be a whole host of famous faces, including New Tricks and Eastenders star Phil Daniels; Game of Thrones star Donald Sumpter and Prisoners’ Wives star Emma Rigby. Other big names set to guest star in the series include Robin Weaver (Call The Midwife), Charlotte Hope (Game Of Thrones), Caroline Goodall (Mrs. Biggs), Ellie Haddington (Ripper Street), Richard Durden (A Child In Time), Dominic Carter (Game Of Thrones), Steve Elder (Apple Tree Yard), Lily Lesser (Wolf Hall) and Rebecca Saire (Jonathan Strange & Mr Norrell). Speaking of the new series, Endeavour executive producer Tom Mullens said: “It’s an honour to have so many great names joining us for the new series. Endeavour returns in February 2018.